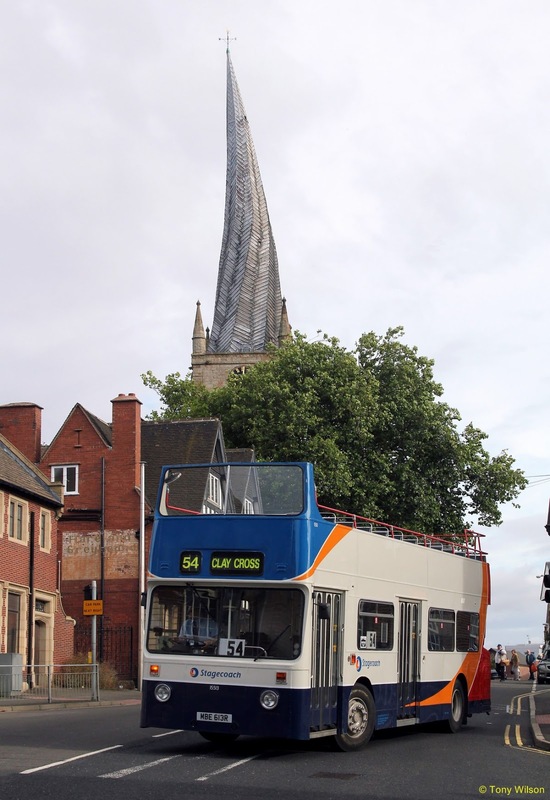 Focus Transport was established several years ago to report on the local transport scene around Chesterfield and the local East Midlands area. 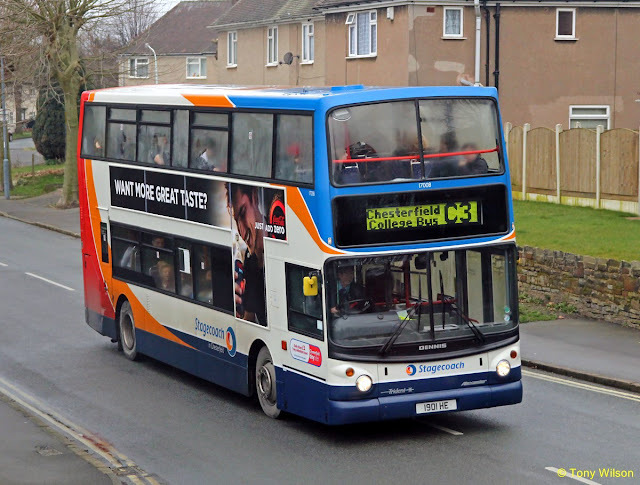 Over time it has expanded to encompass far wider subjects on a nationwide and sometimes worldwide basis. So in order not to forget our roots (or should that perhaps be our routes), we include reports on events and news from our original area. 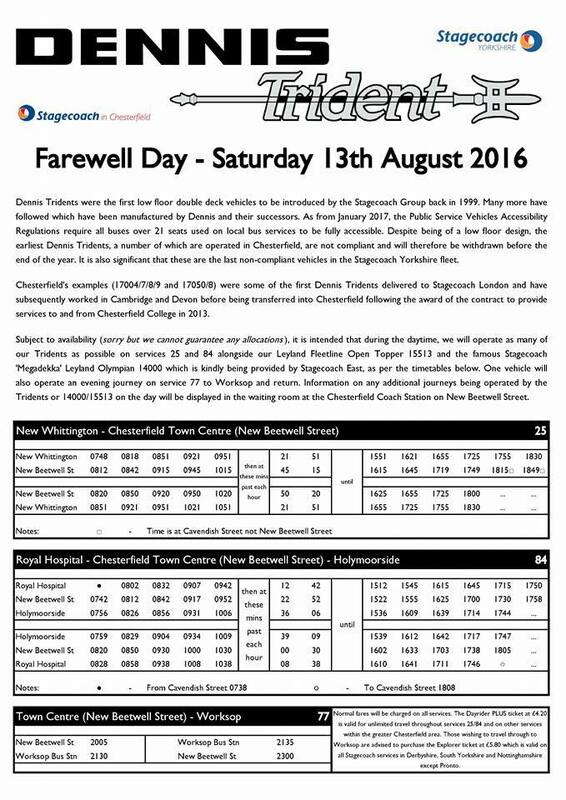 We begin today with two interesting events soon to take place in and around Chesterfield. 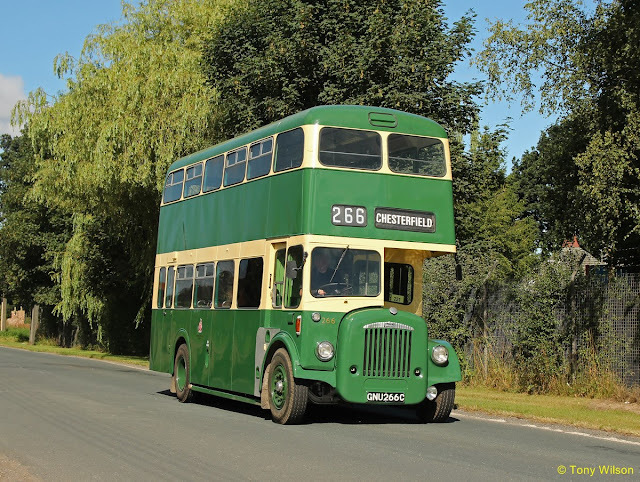 As shown on the press release two other buses of interest will hopefully be in operation, the original Leyland Olympian/Alexander 'Megadekker' and Stagecoach in Chesterfield's Daimler Fleetline open topper. 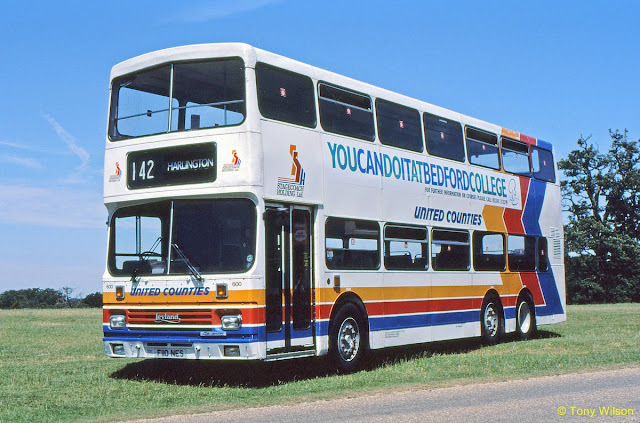 Both are illustrated below, the Olympian at a Woburn Showbus event many many moons ago, and the Fleetline more recenlty on another 'specials' day in Chesterfield. 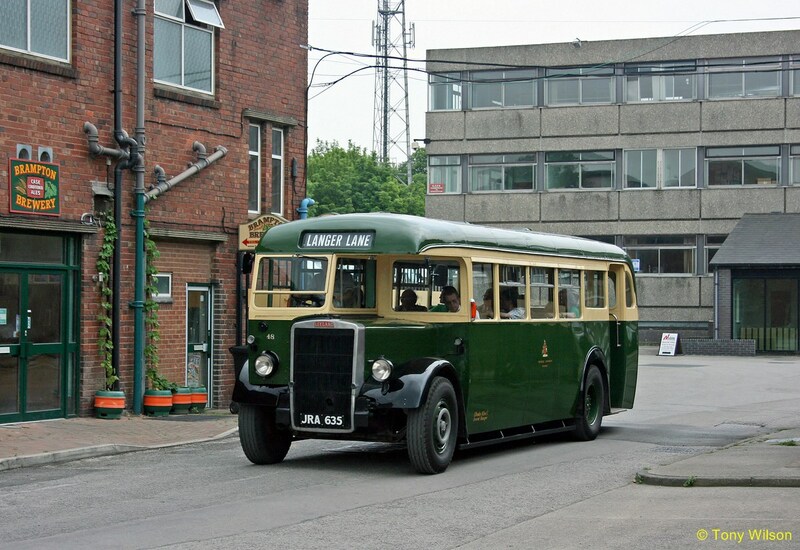 Sunday the 21st August will hopefully see a trio of former Chesterfield Transport half-cab buses gather outside the Town Hall around 9.00am with a departure at 9.30am. They will then run in convoy to the Abbeydale Road Running Day based on the Tesco Superstore's car park in Sheffield and organised by the West Riding Bus Group. 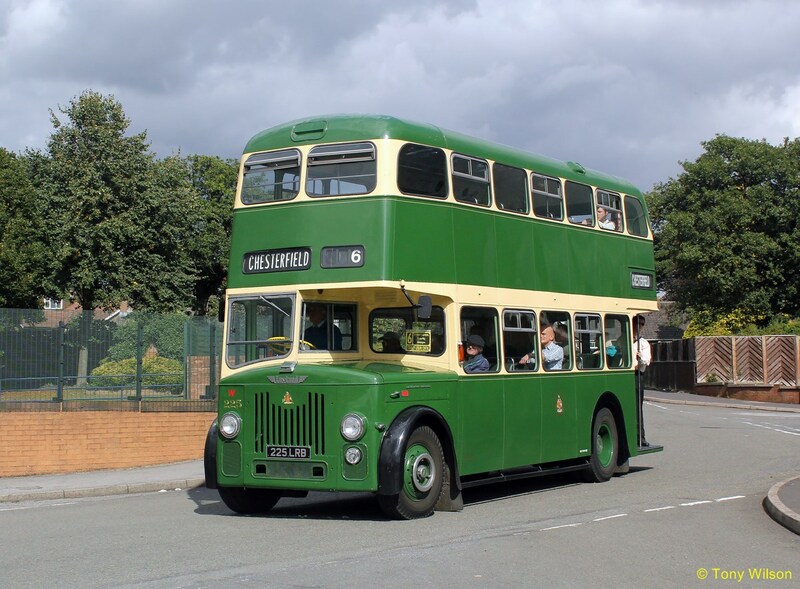 It is anticipated that buses present at the town hall will include number 48 a 1947 Leyland Tiger PS1 with Crossley bodywork, 225 a 1960 Leyland PD2 with MCW bodywork and recently restored to roadworthiness, 266 a 1965 Daimler CCG6 with Weymann bodywork. On the day other buses of local interest may well accompany these three on the run to Sheffield.